Two members of staff from the University of Stirling will assume key secondment positions at The Scottish Graduate School of Social Science (SGSSS). 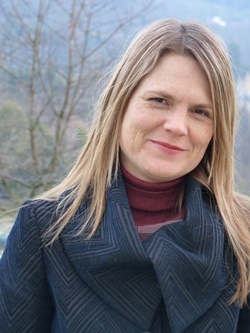 Tessa Parkes, Senior Lecturer in the School of Nursing, Midwifery and Health, has been appointed as Deputy Director and Kirstein Rummery, Professor of Social Policy in the School of Applied Social Science, as an Associate Director. The Scottish Graduate School of Social Science is a unique collaboration between Universities in Scotland to make available outstanding research training to doctoral students in the social sciences. At the heart of the Graduate School is the Economic and Social Research Council (ESRC) Doctoral Training Centre (DTC). Established in 2011 as the biggest in ESRC's UK-wide network of training centres, the Scottish DTC offers ESRC-accredited training in 24 different academic areas. Dr Parkes has been closely involved with the DTC since its inception through her role in the Health Pathway. As Deputy Director, she will work with the Director to set the general direction and strategy for the organisation. She will have responsibility for developing and implementing an innovative and coherent advanced training programme for doctoral students across Scotland and beyond. The training programme will cover a broad range of social science disciplines and will be delivered using a Virtual Learning Environment (VLE), a powerful tool for distance learning. Professor Rummery has also contributed to the DTC’s development during its establishment and will now have responsibility for overseeing annual postgraduate studentship competitions. This role includes working on issues of policy in relation to quality assurance and sharing of best practice.